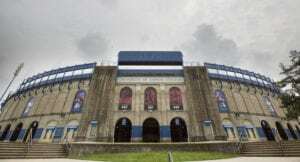 Though they will be playing in separate stadiums on opposite coasts of the continent, five seniors from the 2018 Kansas football team will have very similar agendas Saturday: impressing NFL scouts, coaches and decision-makers. Standout defenders Daniel Wise and Joe Dineen will do all they can on that front at the East-West Shrine Game, in Tampa, Fla. 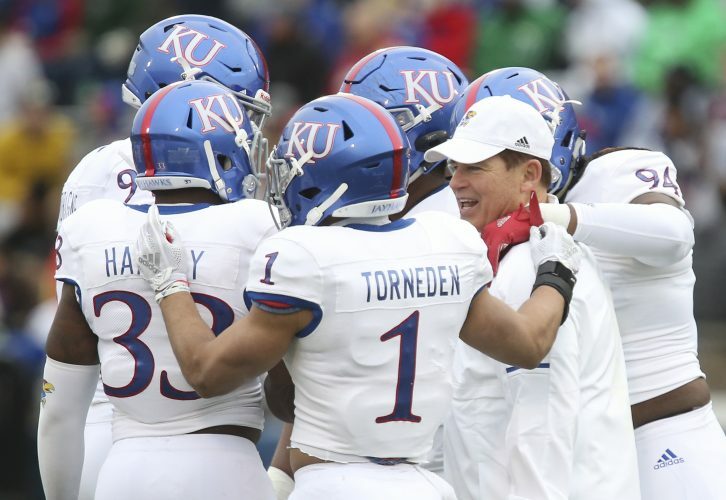 Meanwhile offensive starters from KU Steven Sims Jr., Alex Fontana and Dwayne Wallace, will try and do the same at the NFLPA Collegiate Bowl, in Pasedena, Calif. The East-West Shrine game kicks off first (2 p.m., NFL Network) from Tropicana Field. The NFLPA Collegiate Bowl gets started later the same afternoon (4 p.m., FOX Sports 1) at the Rose Bowl. Wise, who already has been invited to the NFL Scouting Combine, led the Jayhawks with 12.5 tackles for loss in 2018, as a redshirt senior. The defensive tackle from Lewisville, Texas, finished his career with 44 TFLs, leaving him 1.5 behind his teammate, Dineen, who is the program’s all-time leader in that category. A second-team All-American linebacker from Lawrence, Dineen led the Big 12 in tackles each of his final two years with the Jayhawks. As a redshirt senior this past season, Dineen racked up 147 total tackles. His 108 solo stops allowed him to lead all of FBS in that category for the second year in a row. Wise and Dineen, who will suit up for the West team, are the 53rd and 54th players in KU history to play in the East-West Shrine Game. Safety Fish Smithson was the last Jayhawk to appear in the showcase, in 2017. 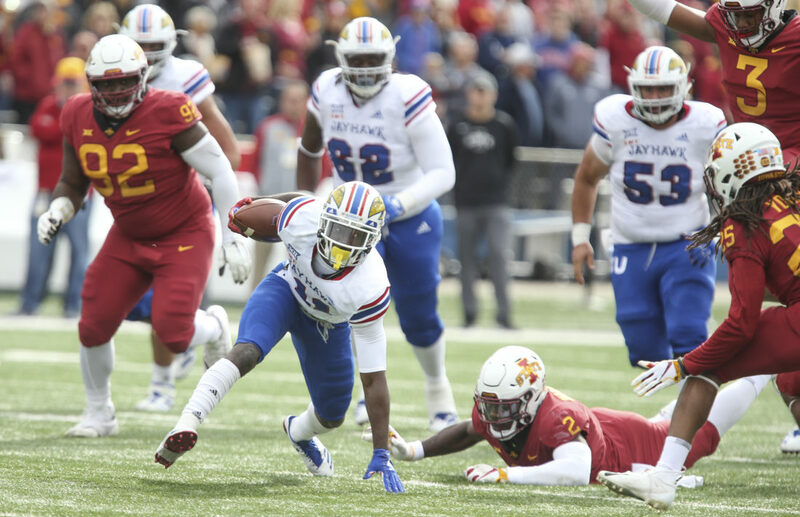 A speedy receiver from Houston, Sims finished his four-year run with the Jayhawks with the second-most receiving yards in program history (2,582), trailing only Dezmon Briscoe (3,240). 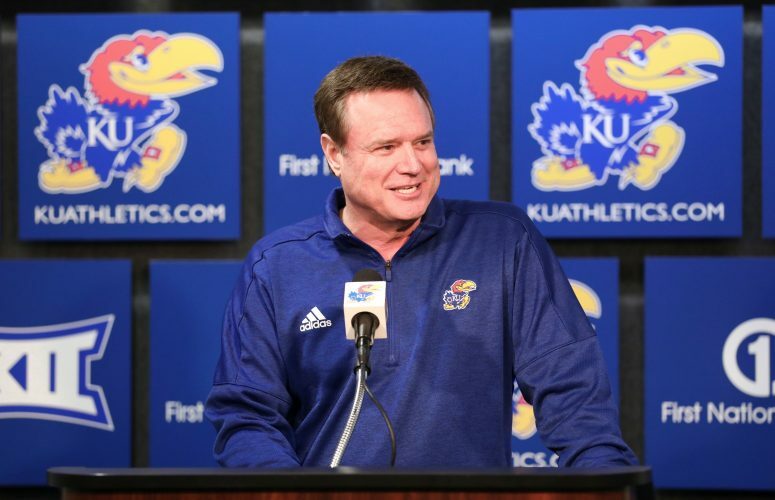 Sims also left KU as No. 2 on the program’s list of career touchdown receptions, with 19 — Briscoe ranks first with 31. 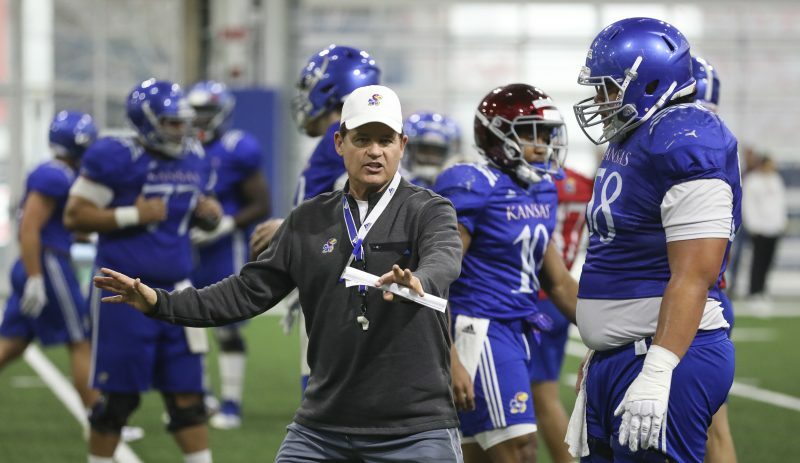 Both Sims and Fontana, KU’s starting center in 2018, will play for the National team at the NFLPA Collegiate Bowl. Fontana, a graduate transfer from the University of Houston, finished his collegiate career with the Jayhawks, starting nine games. 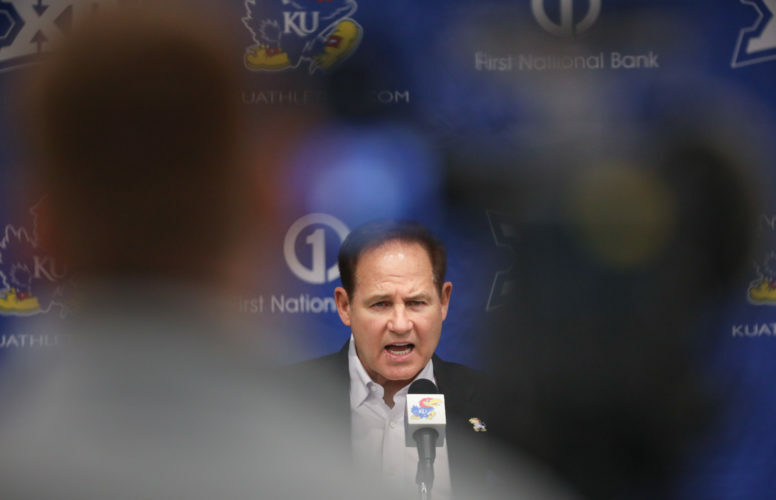 The man who spent much of KU’s 2018 season lining up to the right of Fontana, Wallace, will be on the opposite sideline from the center and Sims, suiting up for the American team. A grad transfer from Cal, Wallace was named the Overall Lineman MVP at the Spiral Tropical Bowl this past weekend. During his only season at Kansas, Wallace appeared in all 18 games and started 10 at right guard. Last year, the Collegiate Bowl had 42 players receive invitations to the NFL Combine, and 19 players went on to get drafted. In 2013, Kansas quarterback Dayne Crist won the game’s MVP award.